From Hampshire based developer Three Fields Entertainment, a mere seven-person core team, comes Dangerous Driving. 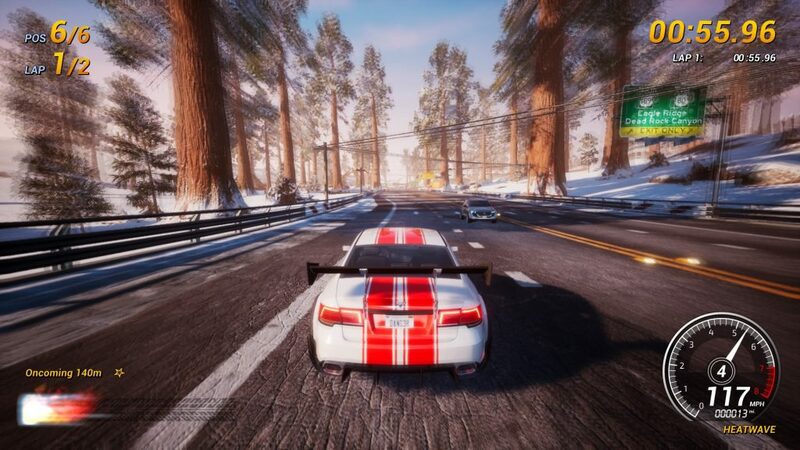 TFE take great pride in having been the original developers who brought us the Burnout series as Criterion, their four releases to date (Dangerous Golf, Danger Zone and Danger Zone 2 plus Lethal VR) all leading to where we are today. 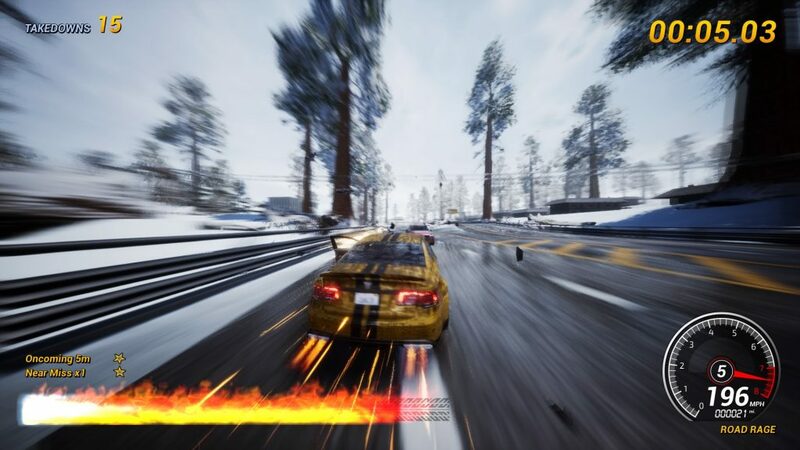 Over sixty-nine individual events spread over six car class types, we have in Dangerous Driving what effectively amounts to a new Burnout game. 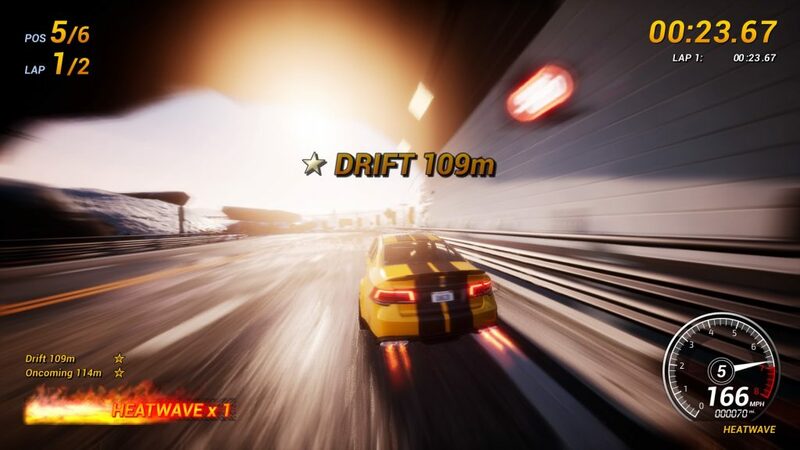 EA have clearly looked the other way as the core gameplay is fundamentally the same as was well defined by Xbox 360 launch game Burnout Revenge in 2005. This reviewer attended a preview event towards the end of last year and what was on display then was already great fun. The preview build I was lucky enough to play then has been refined to a fantastic full release, both digitally and physically. The few rough edges that were evident in December have been all but ironed out and Dangerous Driving is excellent. The handful of race types available then have been expanded to a well-rounded selection, which is probably best we go through one by one. You have your basic circuit race that includes takedowns, your goal being to finish in the top three to progress. To unlock the next car class, you need to place in the top three of a three race GP series made up of three such races. 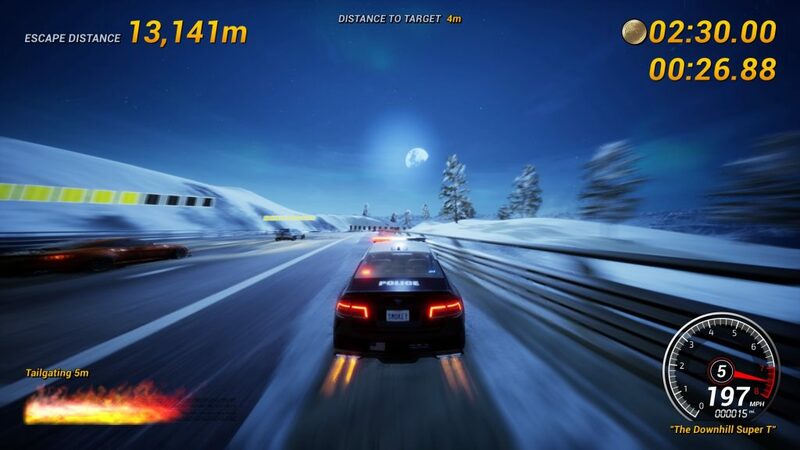 Next you have a cute nod to another Criterion game made during their EA period, Pursuit mode. 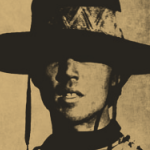 This is a cross between Chase H.Q. 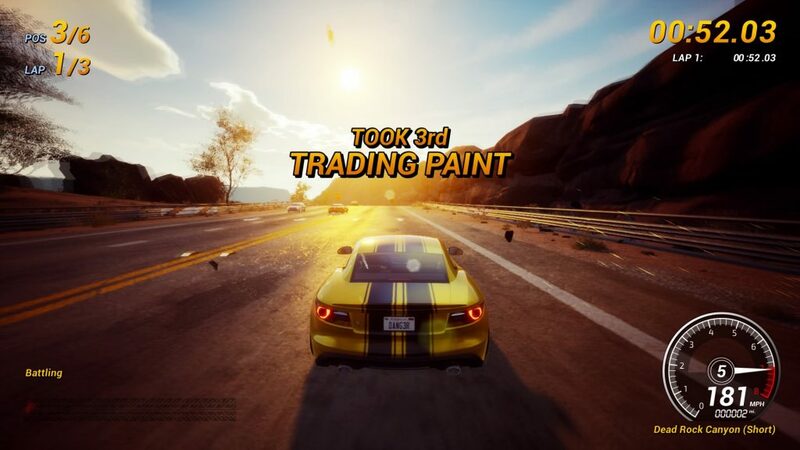 (acknowledged as such in a trophy) and 2010’s amazing subversion of the long running Need For Speed series, Hot Pursuit. It’s excellent fun and sees you take on two pesky criminal types who’re trying to escape along a fixed course. Aping Taito’s venerable racer you chip away at a health bar before they make a break for it. 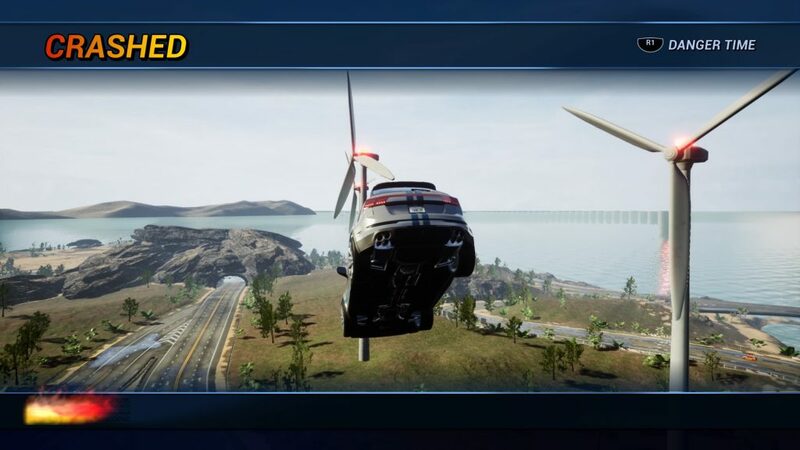 Road Rage will be immediately familiar to long term Burnout fans. It’s you versus the AI, takedowns galore. It’s as good as it ever was and so addictive to boot. Online leaderboards for all game modes saw us trying (and succeeding) to get in the top five. Then we realised it was one in the morning. It’s that good. Face Off is you against an AI opponent: you beat them, you unlock their car. It’s great one-on-one racing with no rubberbanding evident. You can open up a wide lead and win the race easily or you can choose to play cat and mouse, especially if you want to get five takedowns in the process. The fact you unlock a new car being an additional bonus. Survival mode is a distance trial with a strict timer where you will pass the bronze medal criteria without much trouble, but with one crash being enough to end an attempt you’ll do well to get silver, let alone a gold or platinum. Yet still you’ll try again and again. Shakedown is just that, you get a preview of a car class you won’t have unlocked yet. It’s a time trial mode with fairly strict time limits. You crash more than a couple of times, you’d just as well restart. It’s an exhilarating glimpse of things to come, the DD car class in particular. Eliminator is you versus five other racers, finish a lap and the last person over the line is eliminated. Just like in an elimination race on the velodrome in fact. Great fun but a stiff challenge to reach gold medal standard. Heatwave is our least favourite of all the race types available purely due to it being the stiffest challenge of all. It’s you against five opponents and you have effectively an everlasting boost chain if you don’t crash. 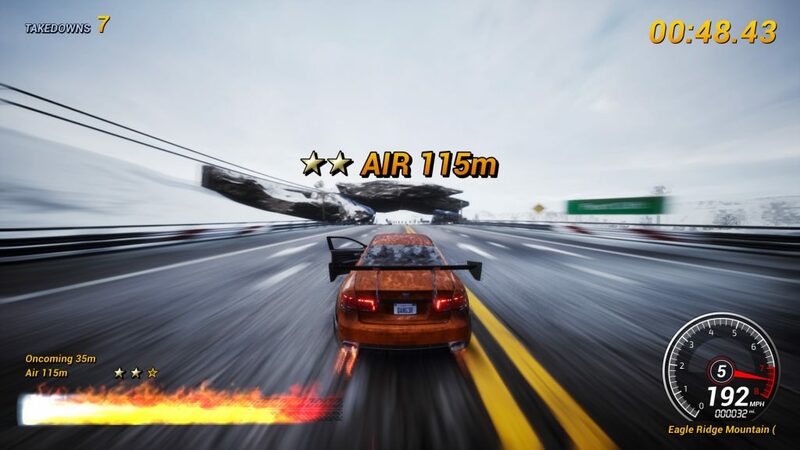 Though if you crash, you’ll have to build up your boost meter to begin chasing down the pack. At the time of writing we’d not managed to successfully complete one of these races, mainly due to the nature of crashing and the massive gaps that occur between you and other racers. One attempt, we ended up more than thirty-five seconds down at the end of the event due to unlucky crashes. Even with a boost chain of seventeen in our best attempt, we still came up short of bronze. And then on our last attempt we got to a chain of thirteen with a decent lead only for a complete game crash. Thankfully the only one we’ve had so far. There are trophies for completing all the races in the vehicle classes, but we’re happy to report that you don’t need to rinse every single event to unlock the next class. 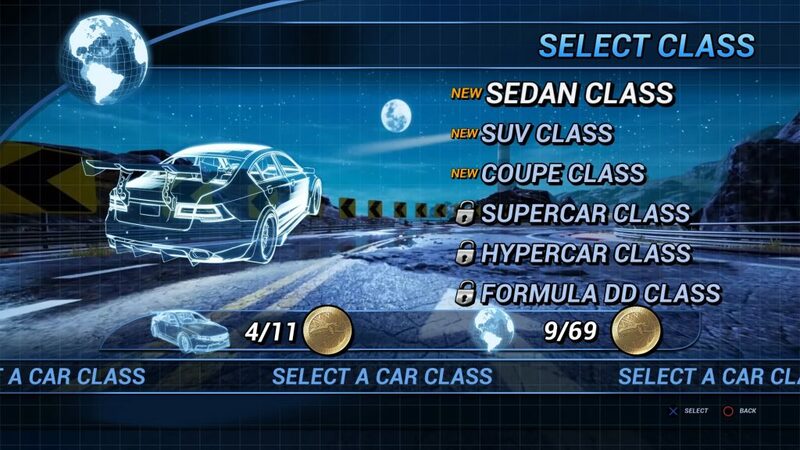 Instead, complete a three race GP that you’ll unlock by medalling in enough events and you’re through. TFE should be applauded for allowing players to play the different classes without having to beat everything first. Thankfully the GPs are normal races as I could see a joypad being thrown if it was heatwave instead. 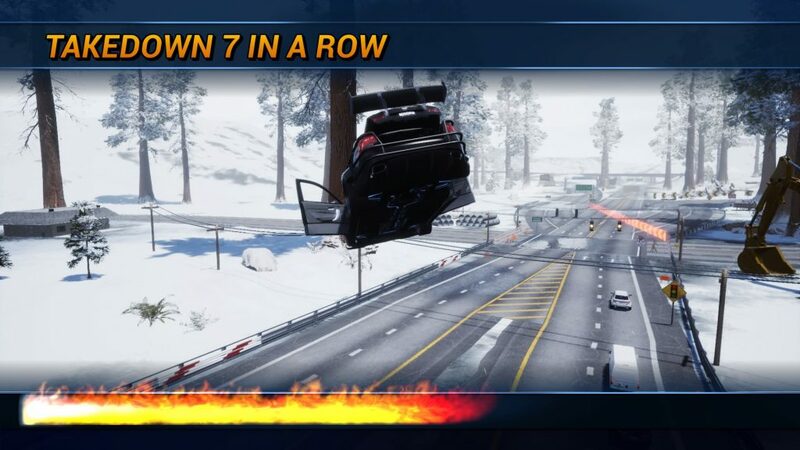 One feature new to Dangerous Driving (as well as the entire Burnout oeuvre) is persistent wrecks. Not an issue on a point to point event, but when you’re doing a multiple lap race, you’ll find you come unstuck especially if wreckage is on the racing line when you come around the next time. One ill-judged takedown towards the end of a lap had us drop from first to sixth one corner before the finish line when we came around the following lap, such is the AI rubberbanding in standard races. It means you’ll start to think about where you shunt opponents. Speed is very much given precedent here. As long as you are pointing in the same direction as a corner, you’ll generally get around unscathed. It’s very satisfying and unless you hit another vehicle as you exit a corner you’ll continue without impediment. Though if you misjudge a corner, you’ll generally wreck your car. There’s a first person view that gives a great impression of speed, almost overwhelming in fact. We preferred the chase camera as it gave us a better idea of what hazards were approaching as we hurtled down the track, plus it helped with timing takedowns. There’s the occasional glitch though. Vehicle handling and the tile-based nature of how tracks are laid down occasionally lead to wrecks you didn’t expect. In addition, sometimes you can takedown an opponent and when you cut back to your vehicle, you’ll be airborne and wreck too. The glitches even out though, sometimes on hard fought races you’ll hit debris that in other circumstances you’d have wrecked on. I’ve a feeling that’s engineered in, it means you don’t feel hard done by all that often. That said, on some race types including the aforementioned Heatwave, if you wreck, you’ll find yourself stuck in a vicious cycle of low speed shunts but still wreck. It feels a little bit punitive especially when your opponents speed away unimpeded. At least on Face Off events your opponent does wreck but in Heatwave they seem to be infallible. A real coup for Three Fields was to include Spotify Pro integration so you can stream your own musical choices as you race. This also dodges the otherwise expensive licencing of a few musical tracks that would be sure to grate eventually. At least no DJ Atomika like in Burnout games of yore. There is one solitary music track used in the menus anyway, but you won’t be in them long enough to worry, let alone for it to be irritating. Though if like us neo-luddites here at PSC you don’t have a Spotify account, let alone a pro account you’re ou of luck musically. Switch the radio on or put on a CD we suppose. A previous grumble of ours when we reviewed Danger Zone 2 was the menu text was hard to read. That’s been resolved with well-defined menus and a nice clear font. Little improvements like this all add to the feeling of refinement that reinforce the fact Dangerous Driving is the finished article. 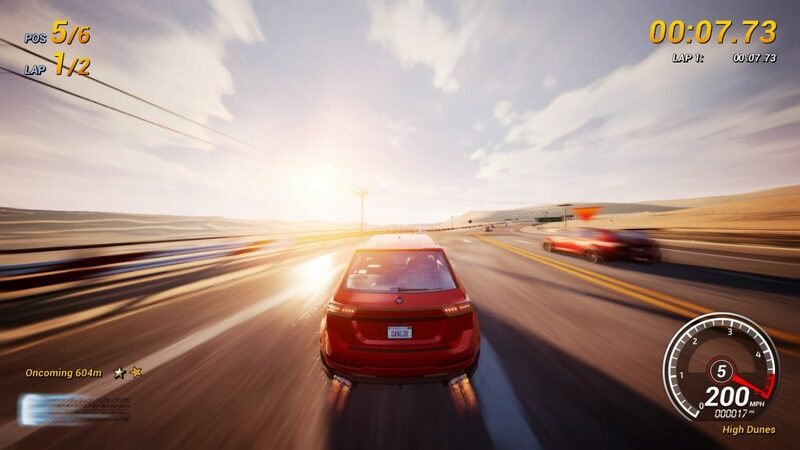 One thing missing from Dangerous Driving at launch is multiplayer. All being well it’ll be patched in post-launch, the only question being how it will be implemented whether it be via peer to peer or dedicated servers. We expect the former will be the preferred option as it would be a bit much to expect from a small indie studio to provide server infrastructure too. If the devs read this, please can we have local splitscreen if possible! In conclusion, Dangerous Driving is the perfect remedy for those pining for a Burnout fix. The culmination of several games worth of expertise coming to a head in this refined spiritual successor, the future is bright for Three Fields Entertainment. 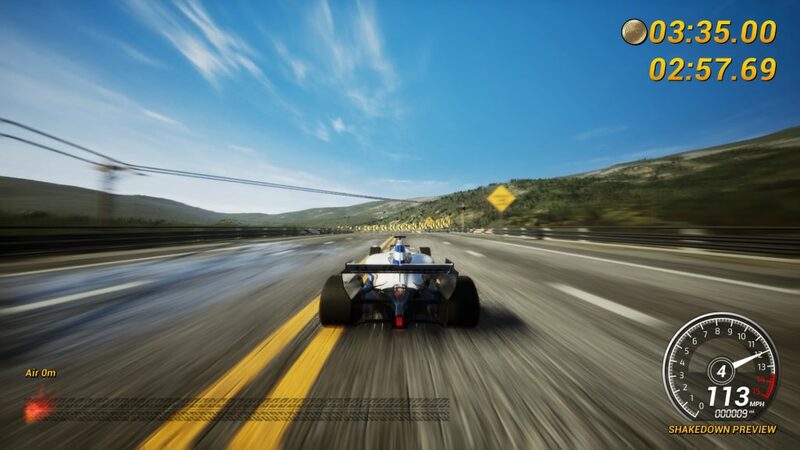 A finer arcade racing game you’ll not find this year. With multiplayer to come and the ability to listen to your own Spotify feed, you have no reason to not play this. It’s excellent. Who needs your AAA bluster when indie devs are putting out games of this quality. It might lack crash mode, but that’s what the two Danger Zone games are here for. Dangerous Driving is available now on PSN as well as a physical release for those who like polycarbonate discs. With the physical copy you get Danger Zone 2 included. Nice bonus that. I’d forgotten that was bundled in.